Located just 3 kilometres from the heart of the well-established suburb of Caroline Springs, life at Deanside Village presents easy access to a variety of shopping services and quality educational facilities, combined with an abundance of open space and beautiful streetscapes – right where you are. In addition to the convenience of the nearby established Caroline Springs shopping and business hub, you’ll soon be strolling to your own supermarket and extensive neighbourhood retail precinct, as part of the future plans for life at Deanside Village. Providing opportunities for healthy lifestyles, over 30% of Deanside Village is represented by green open space for the whole family to explore – enjoy parklands, sporting grounds, walking tracks and cycling paths in addition the natural beauty of the Kororoit Creek wetlands. 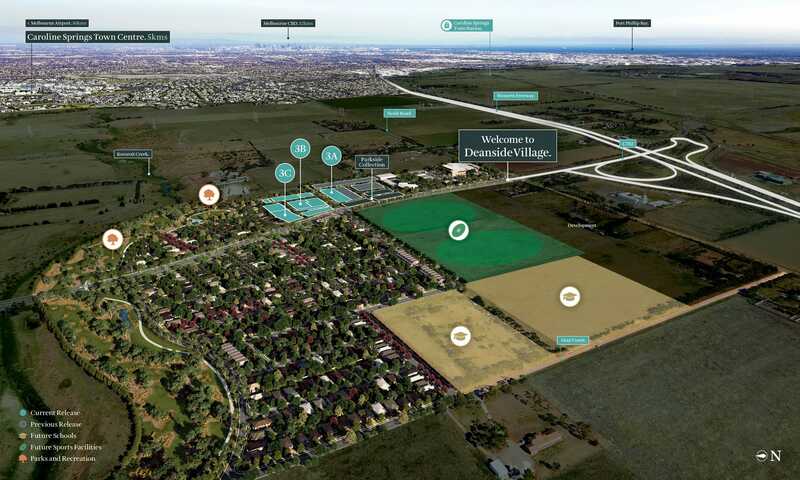 Conveniently located, Deanside Village is just a short distance from the existing Caroline Springs and future train stations and Western Freeway, for an easy commute to Melbourne CBD or day trip to the coast. Creating beautiful places to live, while catering a diverse range of lifestyles and fostering a genuine feeling of community-belonging, so you’ll enjoy coming home every day to Deanside Village. Located just 3 kilometres from the heart of the well-established suburb of Caroline Springs, life at Deanside Village presents easy access to a variety of shopping services and quality educational facilities.